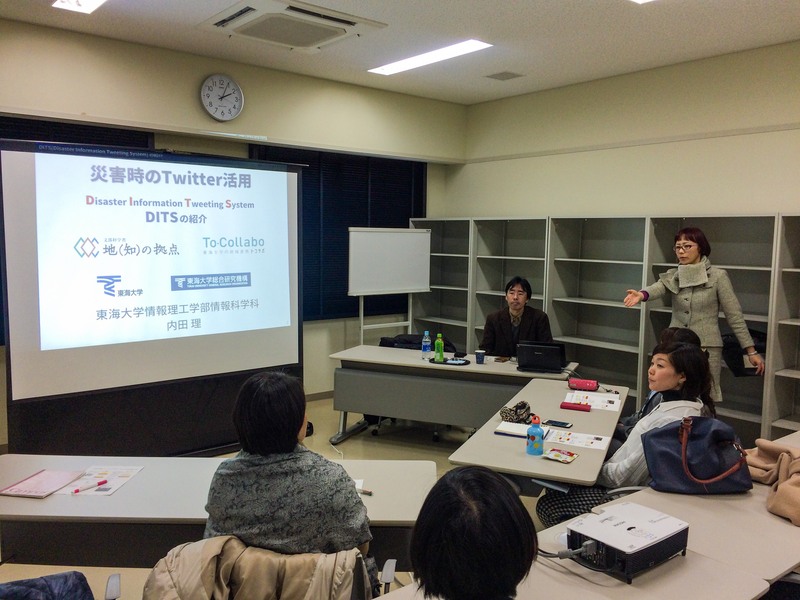 On February 13, 2017 at University of Kochi (Ike campus), Prof. Osamu Uchida, a professor in the Department of Human and Information Science, Tokai University, Japan, presented about Disaster Information Tweeting System (DITS), a system by which we can post a disaster related tweet with position information and the appropriate hashtag easily. He is researching and developing a disaster victim support system using the information and communications technology (ICT) science to respond to the needs of each individual and that even the information illiterate can easily use. The DNGL students and faculty members were actively participated. Prof. Uchida explained that in order to minimize the damage in case of a disaster, it is important to collect and spread accurate information quickly. Twitter is a social media having the characteristics of high immediacy, sharing information is very easy, and the number of Twitter users is very large. Since the Great East Japan Earthquake occurred in 2011, Twitter has been utilizing as a communication tool by many people. Due to the reasons mentioned above, lots of Japanese national and local governmental agencies have taken a great deal of utilizing Twitter in order to collect and distribute disaster related information in recent years. 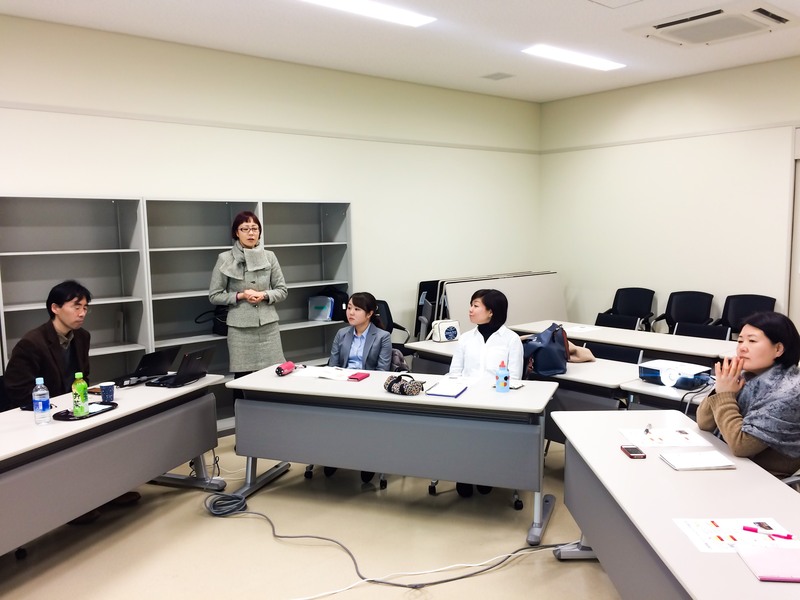 Prof. Uchida and teams have implemented a real-time disaster related information sharing system with two functions: disaster related information tweeting function and disaster related information mapping function, and moreover conducted verification experiment. By using the proposed system, users can post disaster related tweets with geo-location information (address) and the corresponding hashtag of the form “#(市区町村名) 災害” easily even if they do not now where they are.